In total 63 links were found which refer to Caves.org. 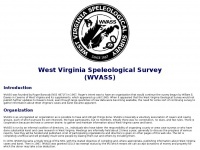 The most used keywords in text links are National Speleological Society, NSS and Virginia Region. Individual words like Society, Speleological, National and Website are frequently used in text links from other websites. The most important link sources for this website are Vt.edu and Animatedknots.com. The homepage of Caves.org and the subsite /WNS/index.htm are most referenced by other websites. The table shows the most important links to Caves.org. The table is sorted in descending order by importance. The table shows websites of Caves.org, which are often linked by other websites and therefore they are classified as important content. 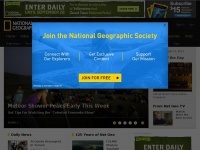 four profiles were found for Caves.org in social networks. Among other social networks the website is represented in Facebook, Twitter, Pinterest and LinkedIn. 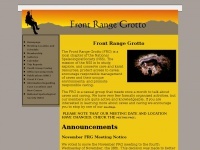 The web server with the IP-address 216.126.34.182 used by Caves.org is owned by Photobooks and is located in Atlanta, USA. The website Caves.org has a own web server. The web server only runs this website. 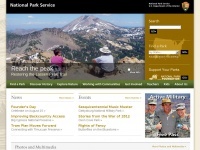 The websites of Caves.org are served by a Apache server. The markup language of the website is XHTML 1.0 Transitional. The visitor analysis software Google Analytics is used to analyze the visitors of the websites. The website does not specify details about the inclusion of its content in search engines. For this reason the content will be included by search engines. 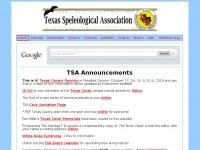 Cavetexas.org - Te­xas Speleologi­cal As­socia­tion | TSA | NSS Re­gion | ..
Nationalgeographic.com - Natio­nal Geog­rap­hic: Ima­ges of Ani­mals, Natu­re, and ..